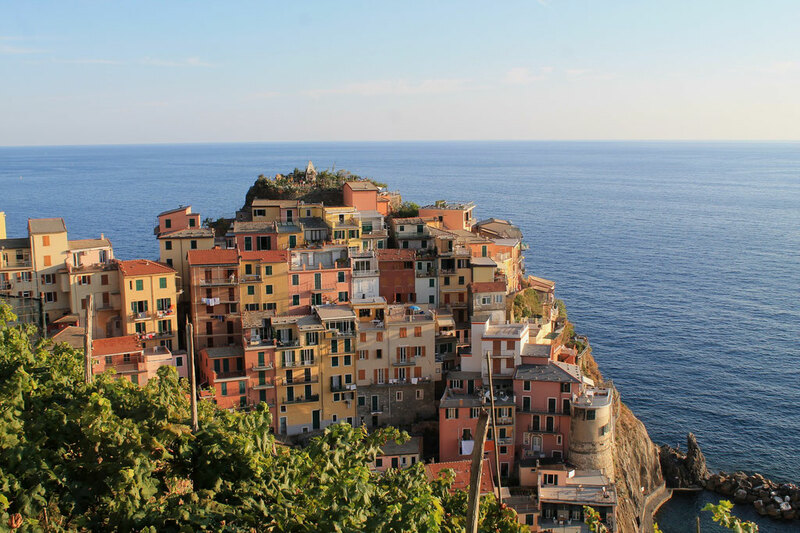 Cinque Terre (which in Italian translates to Five Lands) is a collection of 5 colourful fishing towns that cling to hills overlooking the Italian riviera. 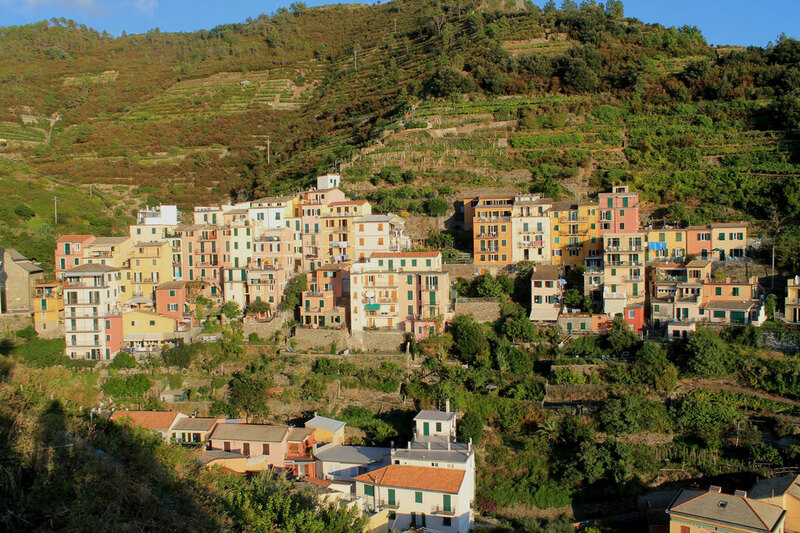 The entire area including the surrounding hills (that are covered in vineyards) are part of the Cinque Terre National Park and is are UNESCO World Heritage Site. 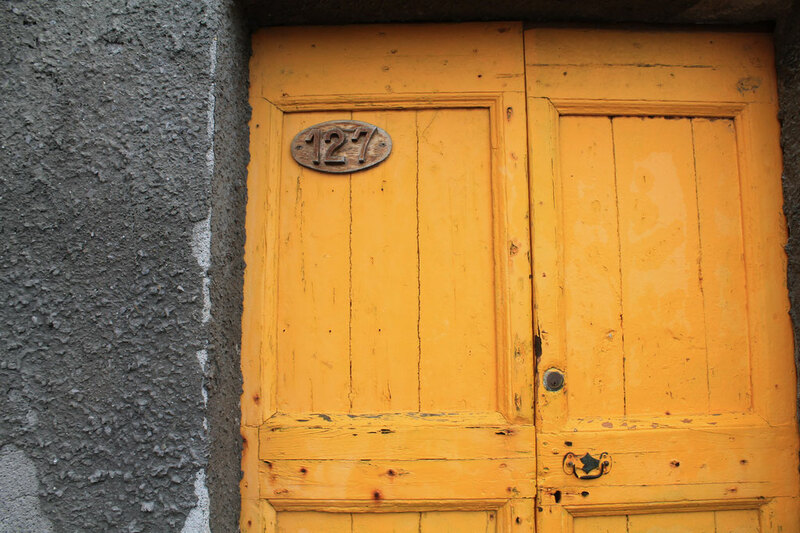 Each town has its own unique feeling, although in all you will find the similar features of mismatched houses, steep winding streets and colourful fishing boats. I spent 4 nights (with 3 full days) exploring the towns and recommend a similar time frame (no less) in order to ensure enough time to see each town. 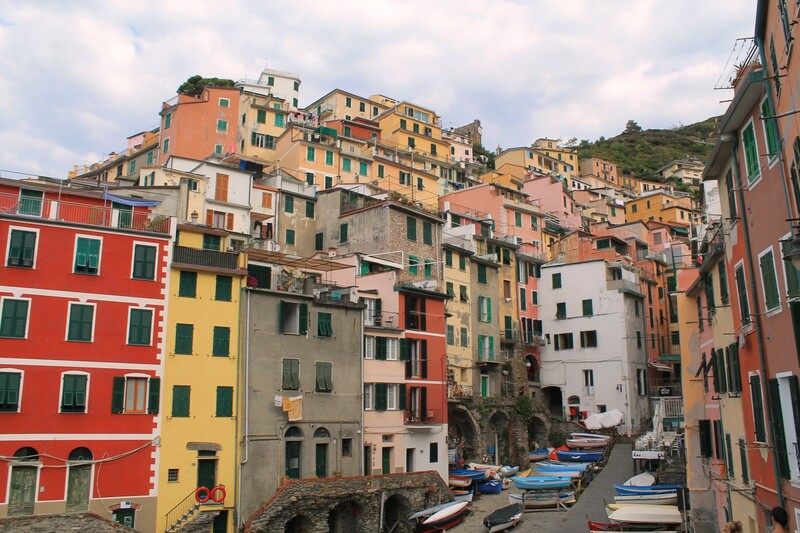 I arrived in La Spezia (the closest city to Cinque Terre) from Florence by train and from there it takes roughly 15 minutes by local train to the first town of Riomaggiore. Train is probably the most convenient mode of transport for reaching the 5 towns, especially if you are already in Italy. 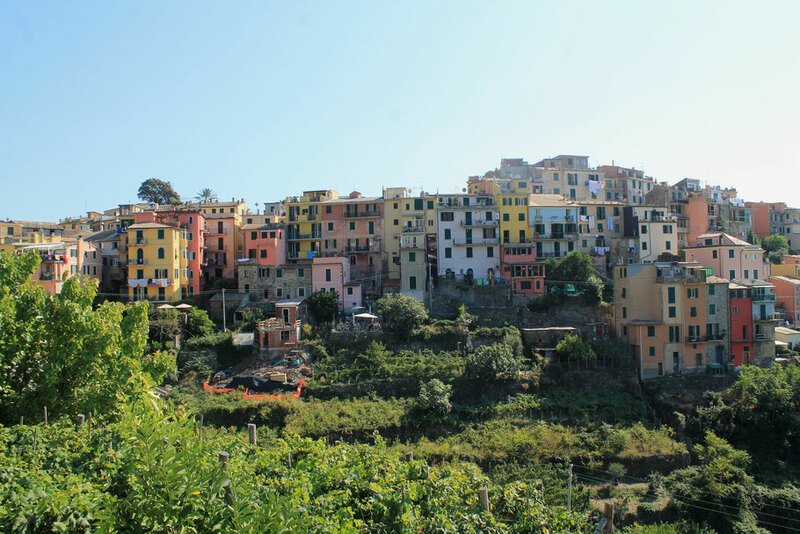 We stayed in a small village just out of Riomaggiore called Biassa which was itself worth seeing, with colourful buildings scattered across lush countryside and a view over La Spezia port and the Italian alps rising up behind. 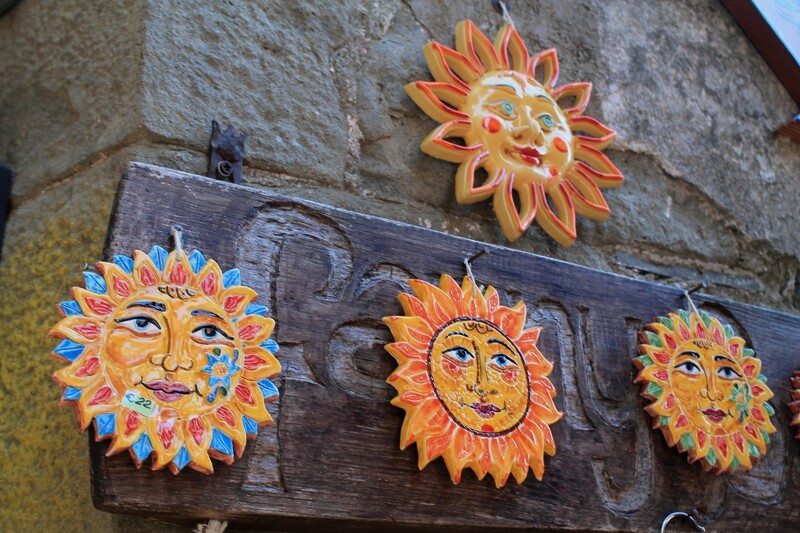 We stayed in a fantastic hostel called Ostello Tramonti in a 4 person dorm. The hostel had an awesome common room with magical views over the misty countryside and also served a killer breakfast for 4 euros. 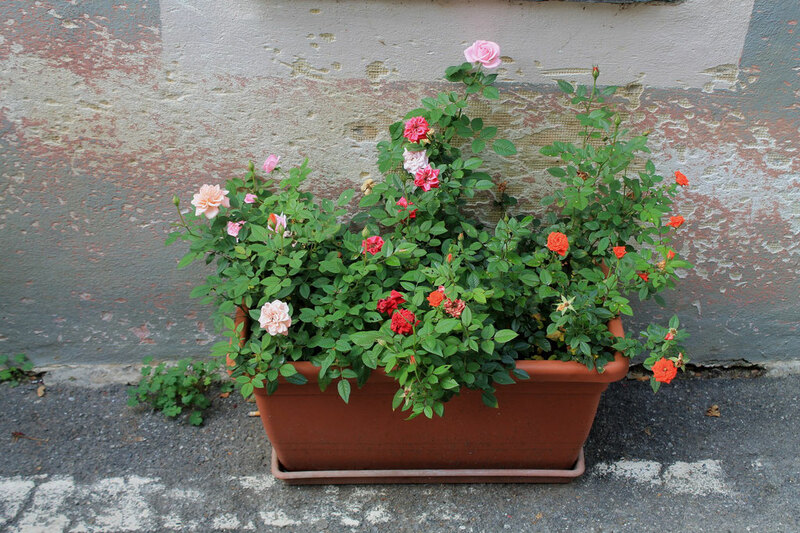 The area is very quiet so I recommend doing some grocery shopping before you get there as food is expensive and the little town markets don't have much variety. In Biassa there was an awesome pizza restaurant ( I don't know the name but it was the only restaurant in the town so you'll find it) and as the Italian Riviera is the home of pesto I ordered the pesto lasagna without even glancing at the rest of the menu. Not only was the lasagna delicious (and only 5 euros) but the restaurant had the most amazing view and I got to sit and eat my pasta while looking out on the Italian alps in the distance. 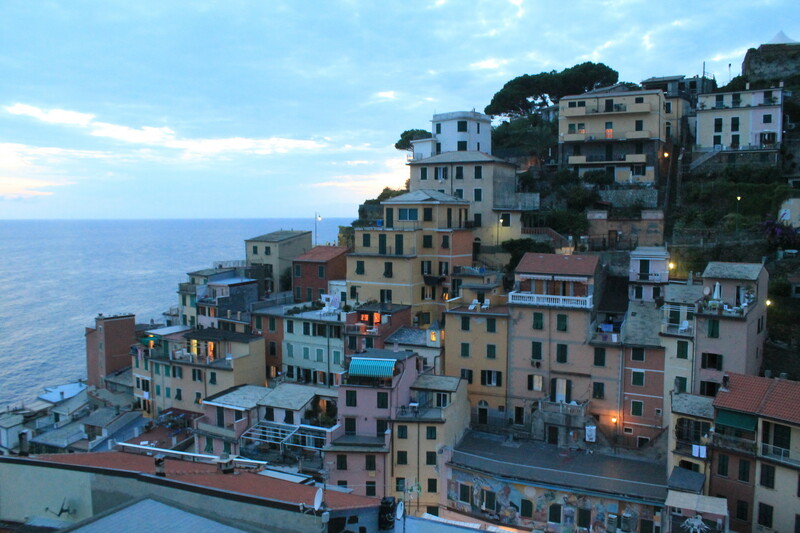 Riomaggiore is the first village from La Spezia and it sits in a small valley facing the sea. 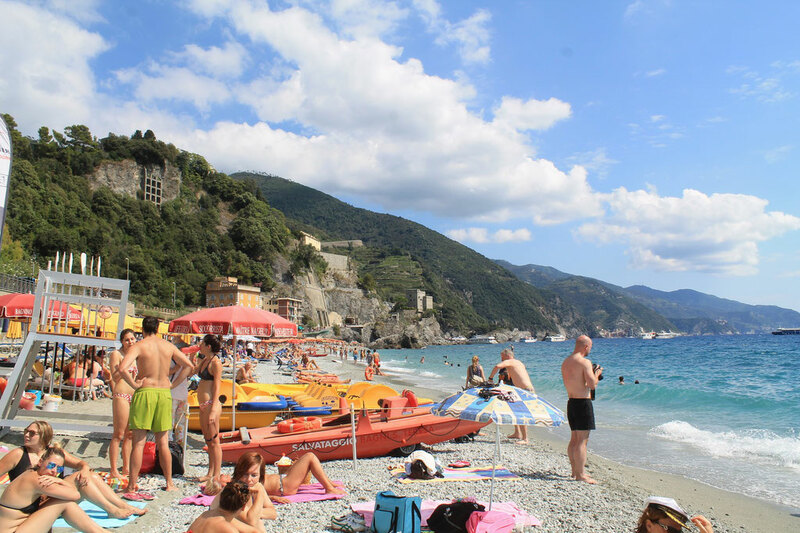 As it is the first town it attracts a lot of visitors, mainly being those with not much time, coming for a quick look from La Spezia. 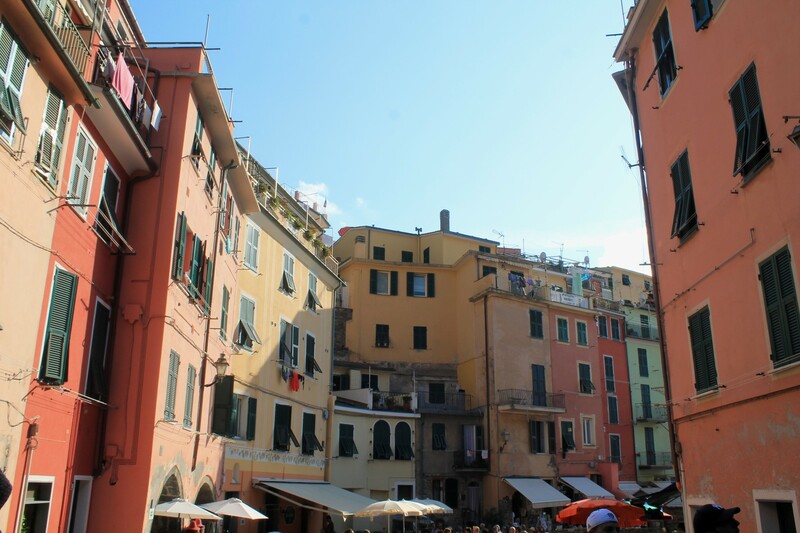 Due to its busyness it boasts lots of restaurants and shops, so if you are looking for somewhere to eat, Riomaggiore is probably your best bet. 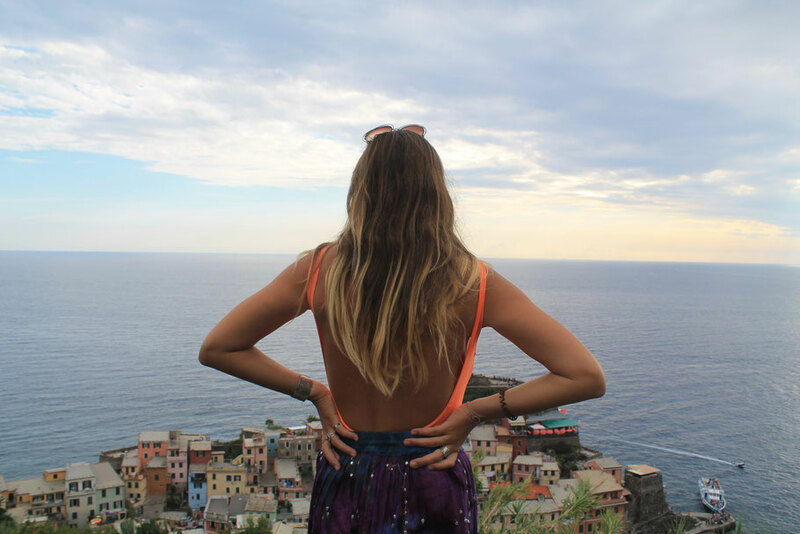 At the bottom of the town, next to all the small fishing boats are lots of rocks that can be climbed and sat upon and are perfect for watching the sunset over the ocean and the town while eating a pesto pizza. 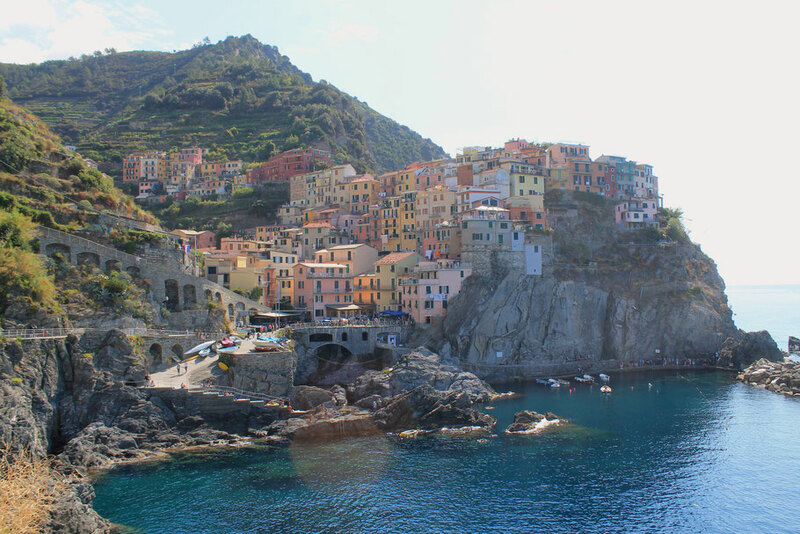 Manarola was both Ebbs' and my favourtie town due to its fantastic swimming spots and amazing views from its surrounding hills. If you walk from the church through the main street out following the coastline you get an amazing view looking back over the town and its small fishing cove. 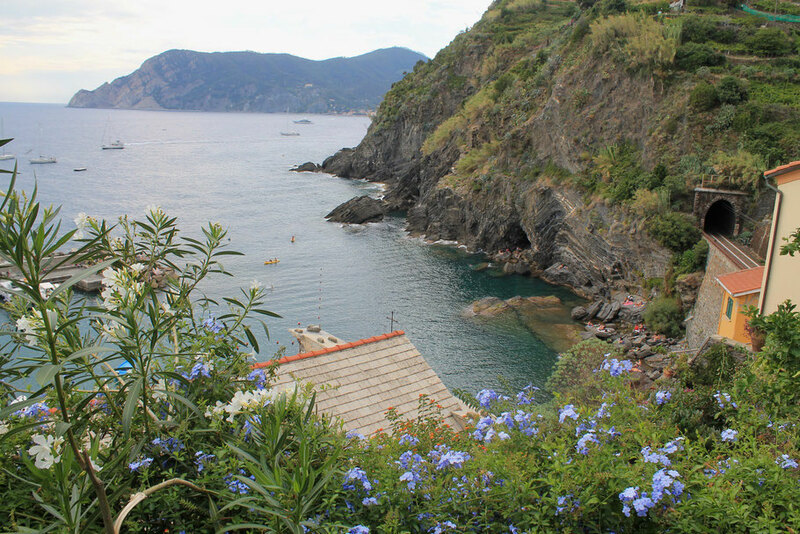 The swimming spots where scattered, starting at the base of the town where the boats dock and continuing around the headland to more secluded spots off rocks. At sunset climb up the stairs at the back of the town and walk along the highest path through the vineyards, the evening sun makes the village glow and there are plenty of places to sit and watch the sunset over the town or have a picnic (if your organised enough). 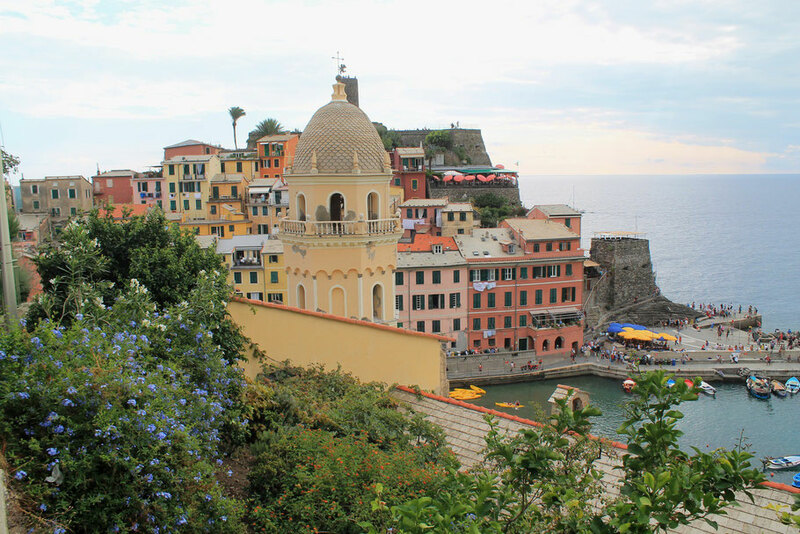 Although it was my least favourite of all the towns, Corniglia sits 100 meters high above the sea and has some amazing views across the ocean. Getting up there from the train station requires a lots of stairs (and by alot I mean 20 minutes of up.) 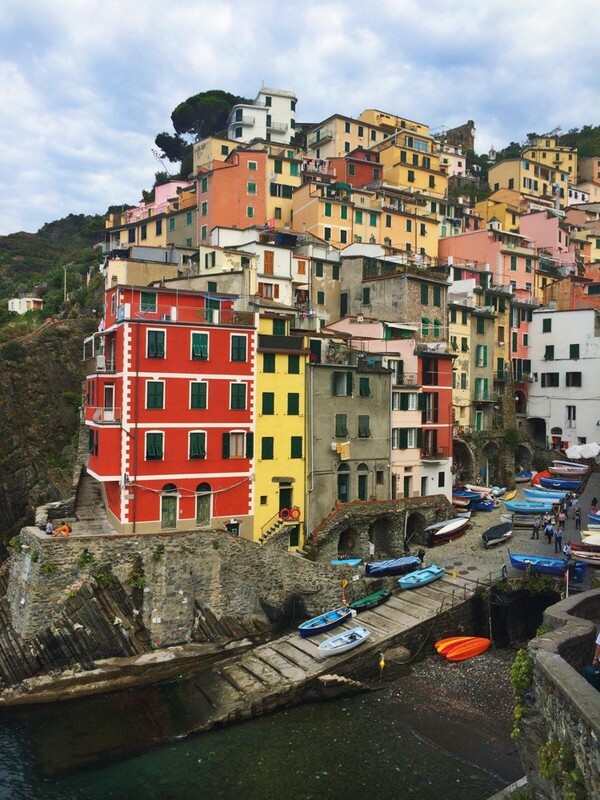 In all honesty if your only in Cinque Terre for a few days i would recommend skipping this town, (and its stairs) and spending more time elsewhere. 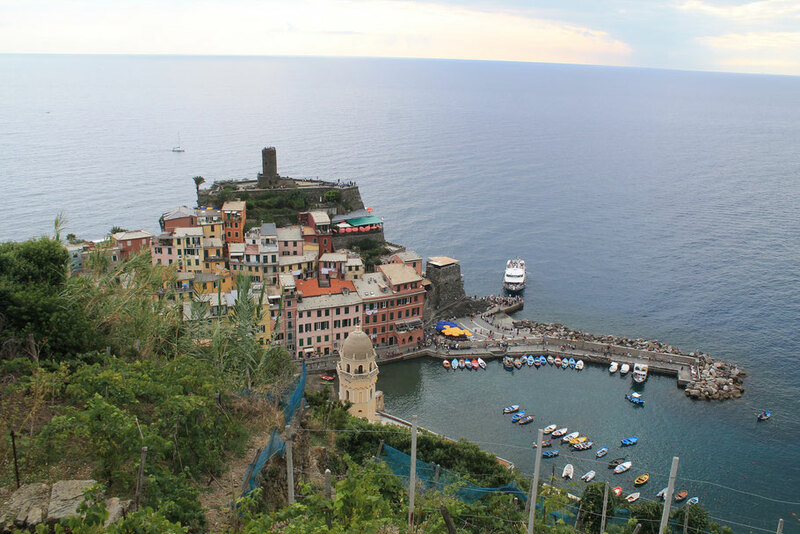 Vernazza is the 4th town and one of the most popular. 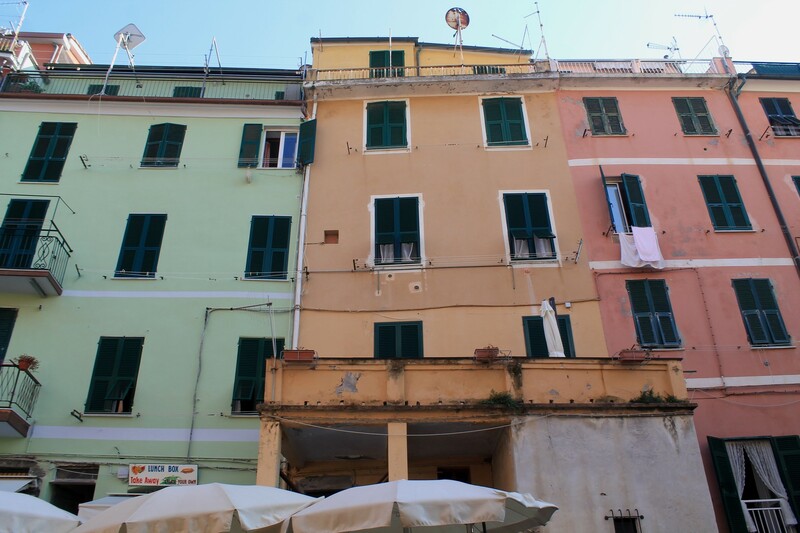 Its main street leads to a square with a protected cove to swim in and pretty views looking back onto the colourful buildings. This town was the worst effected by the 2011 floods and landslides caused by heavy storms that killed 12 people. 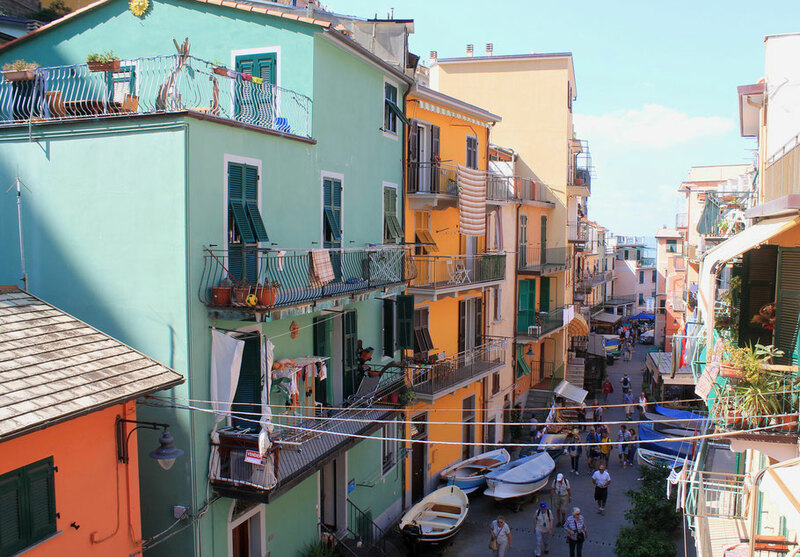 Along with Monterosso which was also badly effected, the town has been rebuilt and is as colourful and lively as ever. The town is surrounded by lots of high places that you can climb to via small cobblestone staircases and paths through vineyards. We found some spectacular views above the towns main church looking out over the right side of the village and out to sea. 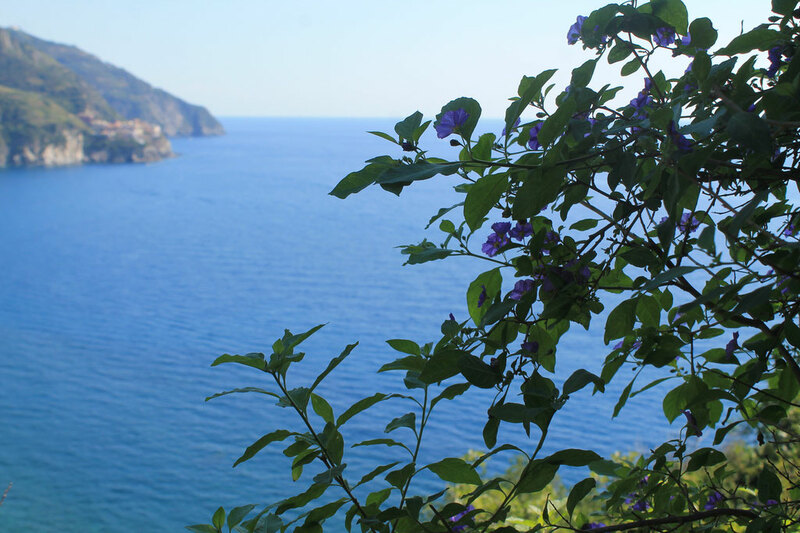 We used this view as a compromise as the best view in Vernazza is achieved along the walk from Vernazza to Monterosso as the path looks back onto the town behind, however the walk costs 7.50 euro per person and we opted to spend that money on dinner. 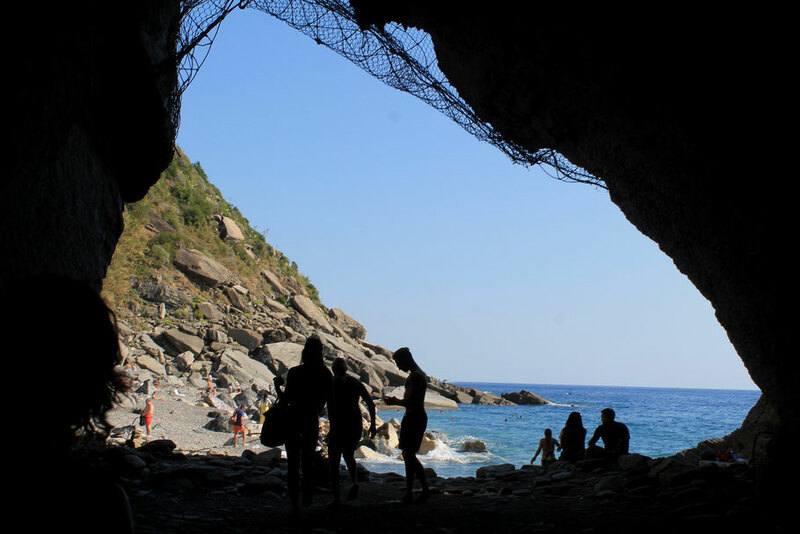 While walking down the main street we spotted a hole in a cliff/wall, which turned out to be a tunnel leading to the coolest little beach. 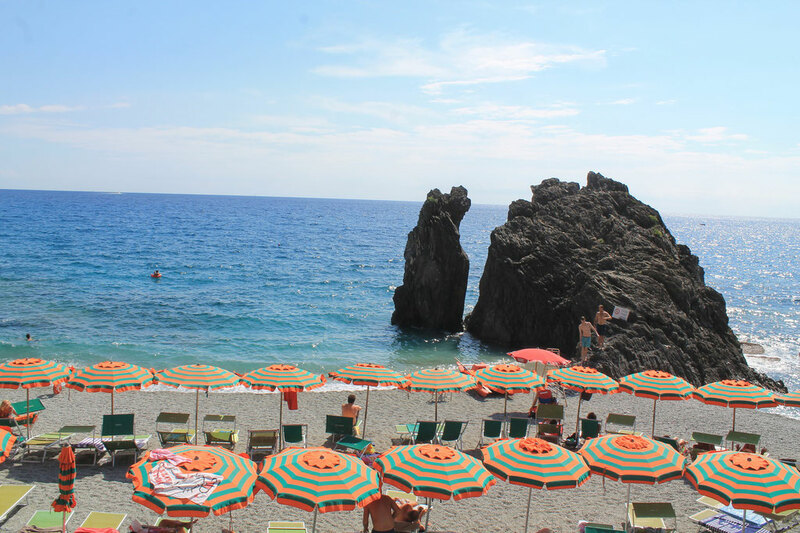 It was surrounded by high cliffs that the town clung to above and had big crashing waves which was different to most of the quiet beaches on the Italian coast. 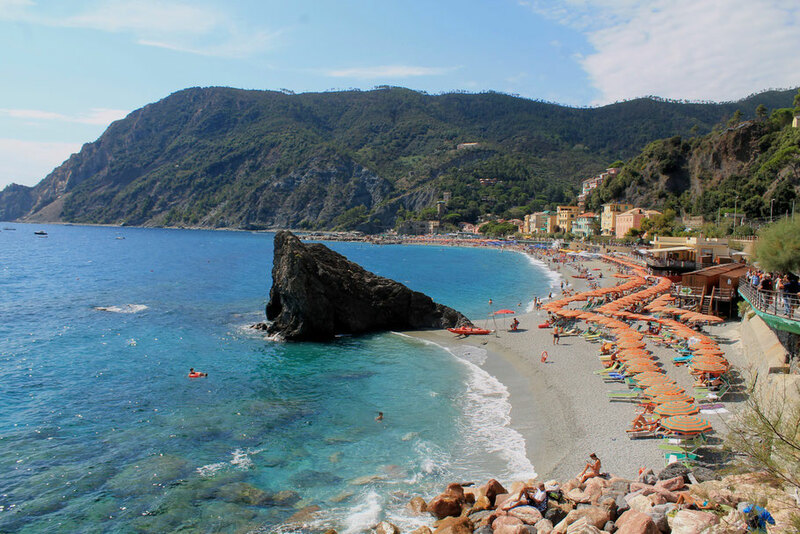 Monterosso is the final of the 5 towns and is the biggest with several rocky beaches and lots of restaurants. We spent our last day here lying on the free section of the beach. It gets incredibly busy especially on a hot day so make sure you get there in the morning to secure a place to sit.